You might already know that Google Blogger is one of the most amazing and wonderful platforms which offers you to create your own blog for free. Blogger is perfect for beginners who want to start with this blogging business. Creating and getting started on your own blog is extremely easy with Google Blogger. But in case if you want more freedom, more amazing features or say you want full control of your blog then that’s where blogger fails. Moving your blog from one blogging platform to another would generally result in a drop in Google Ranking as well as website traffic in case one doesn’t follow the right procedure. Right Procedure? What kind of procedure? Need not to worry more, here’s the step by step guide which you should follow carefully in case you are planning to migrate from Google Blogger to WordPress without losing your search engine ranking and web traffic. But, Here comes another question. Why one should migrate from Google Blogger to WordPress? So, here’s the truth. If you are working on Google Blogger then I would advise you to migrate your blog immediately to WordPress because you’re losing some serious things out there such as SEO, Revenue, Rankings and even your website traffic. I can’t deny the fact that Blogger is a great platform if you are getting started with this business but if you want to be a horse in a long run then you should not stick to this platform for a long time. Trust me, You will notice some serious changes in your blog after migrating your blog to WordPress. If you are not yet convinced then here are some few more reasons that will help you change your mind. 1. You should be aware of the fact that Blogger is owned by Google which means that they have all control over your blog. Google can change or modify your blog content even without informing you. You should also know that they can even delete your complete blog if they feel inappropriate. 2. Bloggers fail when it comes to highly customizing your blog design. I totally agree that it’s really easy to customize your blog but it has many restrictions. 3. If you want better SEO for your blog then you should go with WordPress. 4. Although, Google is capable of handling high traffic coming to your website but you should know that if Google finds that thing suspicious then they can delete your blog right away without informing you. What you all need before migrating to WordPress? Here is the thing which you will be needing before you migrate your blog from Google Blogger to WordPress. You might know that WordPress blogs are self hosted and for this thing, you have to get a good and reliable hosting provider which can host your website and can easily handle all your website traffic. If you are a beginner and your blog don’t have enough traffic then I will recommend you to go with some good shared hosting services such as Bluehost. But if it is not a case then you can mind considering fastcomet, siteground etc. It helps you save your blog from some serious treats which might harm your blog. It helps your website loading faster and decreases the server load. You might notice some serious changes after getting a CloudFlare account. Although, there are many more advantages but above listed are the most important points which many bloggers consider before getting such kind of service for their blogs. Step 1: You Have to Download the XML File of your blog which you are willing to migrate from your Google Blogger Dashboard. For this thing you simply need to open your Blogger Dashboard and navigate to Settings > Others and then there you simply have to click on Export blog. This will start downloading your whole blog’s XML file to your PC. Step 2: Now you simply have to import the .XML file to your WordPress account. 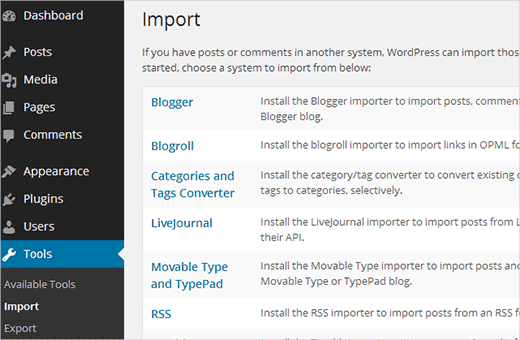 To Import your blog’s XML file you have to Open Tools > Import and then click on Blogger. 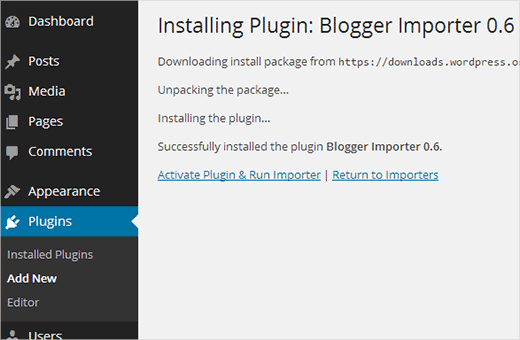 After that, a pop-up window will appear which will ask you to install blogger importer plugin. Simply Click on the Install Button. After installing that successfully, you need to activate the plugin and simply run importer link to continue. Step 3: After you have activated the plugin you will be asked to import your blog’s .XML file from your blogger dashboard. After you have performed all the above steps carefully you will need to assign an author to the posts to be imported. And that’s all you need to do to successfully import your Google Blogger Blog to WordPress. But Wait! Is that all? Nooo… You still need to make sure that you don’t lose your search engine ranking and your blog traffic. So, here’s a small procedure which you have to follow which will make it very clear that you don’t lose any kind of your blog’s data. Step 4: Setting up your permalinks. Open your WordPress dashboard and go to Settings > Permalinks and then simply choose the custom structure option. Now you have to copy and paste the following code and then save all changes made. Step 5: Next it comes to setting up redirection. This is one of the most important parts which must be followed with care. You have to do all steps properly to make sure that your users are redirected to your new blog. You all want that your users should get the same old page and also want the search engine to notice that same page which is moved to the new location. Open your blogger dashboard > settings > template. On the template page, you have to scroll down to bottom and click on “Revert to Classic Template” link. After that, you will see “Edit Template HTML” text. Here you need to simply replace whole code with the below code. Note: Make sure to replace https://www.bloggingbro.com with your blog’s name. Now, simply save all the changes made. But is that all, now? No, you still have to setup your redirection on your WordPress blog so that your visitors are redirected to the proper post. Create a new text file using notepad and save it as fixlinks.php and copy the following code in that file. Next, simply upload this file to public_html of your WordPress installation. Now run this php code on your blog from the following link to fix permalinks issues. You will get a message as done. Step 6: Redirecting Feeds. For redirecting your feeds you need to login to your blogger dashboard > settings > others. There you will notice a Site Feed section, under that section click on Add Link next to Post Feed Redirect URL. 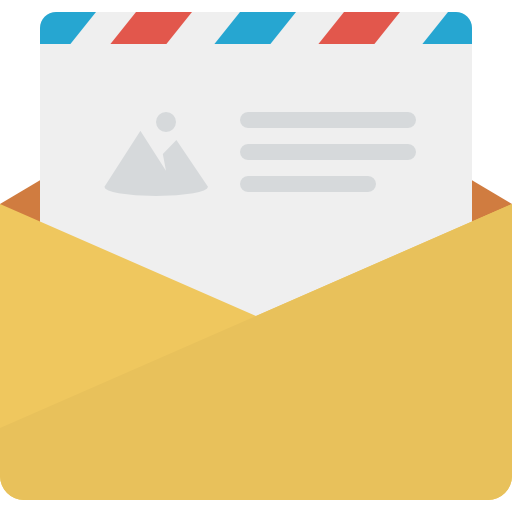 Here you need to mention your new blog’s RSS feed web address and that’s how your existing RSS subscribers will automatically move to your new feed.